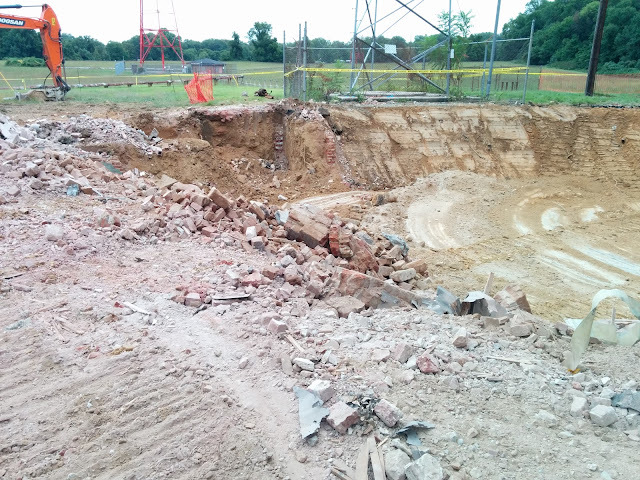 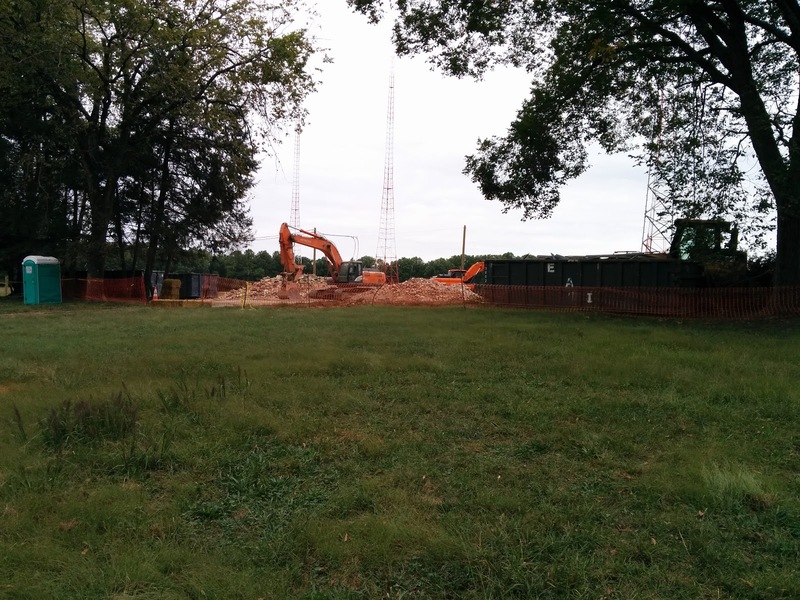 The transmitter building that has long stood at the WMAL field on Greentree road has been demolished. 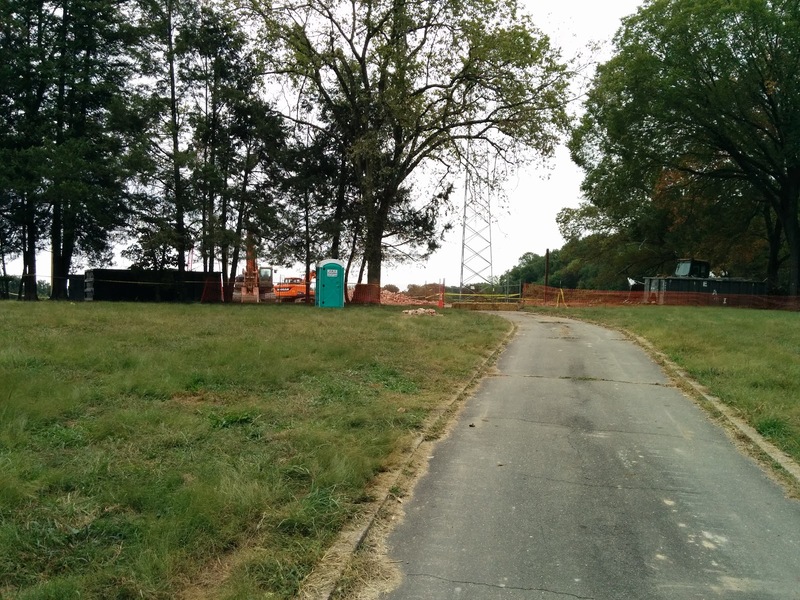 Some months ago the transmitter equipment was moved to a temporary building on the same lot. 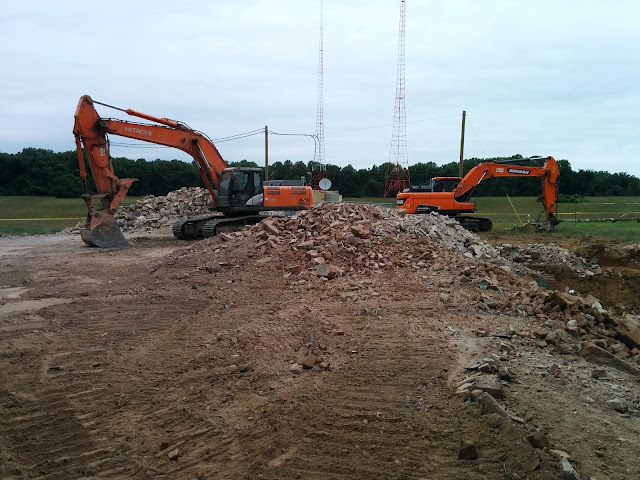 The plan is for the radio towers to be removed and over 300 houses and townhouses put on this 75 acre lot. The building was listed on Maryland's inventory of historic properties, but that didn't afford it any special protection against demolition.